HomeBlog About The ABCSBlogCosmetic MedicineWhat is it Really Like to Undergo General Anesthesia? You’ve booked your cosmetic procedure, are confident in your choice of board certified cosmetic surgeon, and can’t wait to see your results. There is just one thing you are unsure of: general anesthesia. You’re not alone; in fact, a study performed by psychiatrists showed that around 30% of patients were more afraid of anesthesia than of the actual operation. 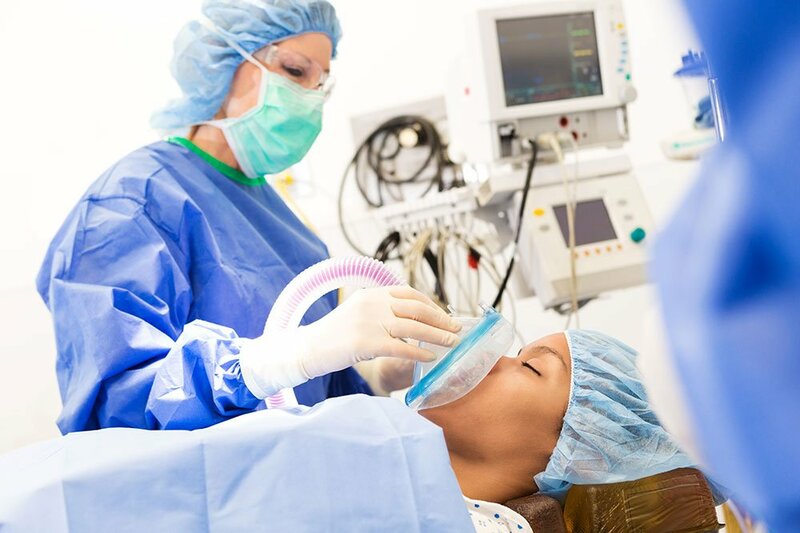 Whether you’ve been under general anesthesia previously or are a first-timer, it is normal, and even expected, to worry about what may happen after anesthesia is administered. If you are feeling anxious, read on to learn a little bit more about how general anesthesia works, what being “put under” feels like, and a real look at the risks of anesthesia. Studies have shown only a 0.01 – 0.016% chance of a fatal complication caused by anesthesia. While it’s normal to fear the unknown, it is also important to understand the facts—and the fact is that mortality rates associated with general anesthesia are quite low, particularly for cosmetic surgery procedures. Even including patients who had emergency surgeries, poor health, or were older, there is a very small chance—just 0.01 – 0.016%—of a fatal complication from anesthesia. Certain risk factors—such as poor overall health, obesity, smoking, sickness, or old age—are usually to blame for anesthesia-related complications. It is also critical to be honest with your provider about any medications you are taking to avoid any unexpected interactions. Because cosmetic procedures are elective rather than the result of an emergency situation, patients who are not good candidates or have medical risk factors typically aren’t approved to move forward with surgery. On your day of surgery, a nurse will help you through any preoperative preparations before you are taken to the operating room. Once there, your anesthesiologist and surgeon will discuss the process with you before administering the medication via an injection or IV drip. Many patients report that undergoing general anesthesia is a surreal experience—and practically no one remembers anything between when the medication is administered and waking up in the recovery room. Once the medication hits your bloodstream, the effects will kick in quickly. Your anesthesiologist may ask you to count backward from 100 to distract you from any anxieties, in addition to helping them monitor how you are responding to the medication. Your anesthesiologist will be present for the entire time you are “asleep,” monitoring your oxygen intake, vital signs, circulation, fluid loss, and level of consciousness to ensure everything remains at stable, normal levels. Typically, the period of time when you’re under general anesthesia is a blank. Many patients report that it is a surreal experience—and practically no one remembers anything between when the medication is administered and waking up in the recovery room. Comment from discussion What’s it like going under general anesthesia?. While anesthesia medication is largely safe, it is exceedingly important that you work with a qualified anesthesiologist to ensure your safety. In some cases, such as less invasive procedures, local anesthesia or conscious sedation may be most appropriate, and this will likely be administered by your surgeon. The American Board of Cosmetic Surgery recommends working with a board certified cosmetic surgeon, board certified anesthesiologist, and/or a certified registered nurse anesthetist—and we encourage you to ask your surgeon about the credentials of their operating room staff during your consultation. Surgeons board certified by the American Board of Cosmetic Surgery are required to operate only in accredited facilities and with a fully qualified anesthesiologist or anesthetist. To find a board certified cosmetic surgeon in your area, we encourage you to use our Find a Surgeon tool.